Sugar may not be illegal, and is often even considered harmless for kids, but studies have shown that sugar can be more difficult to get off of sugar than cocaine! * Although it’s considered harmless in comparison to most drugs, sugar, in excess, can cause a host of problems for a lot of adults and children alike. Where does it come from? At least half of the sugar that children consume come from soft drinks, fruit drinks, and sports drinks. 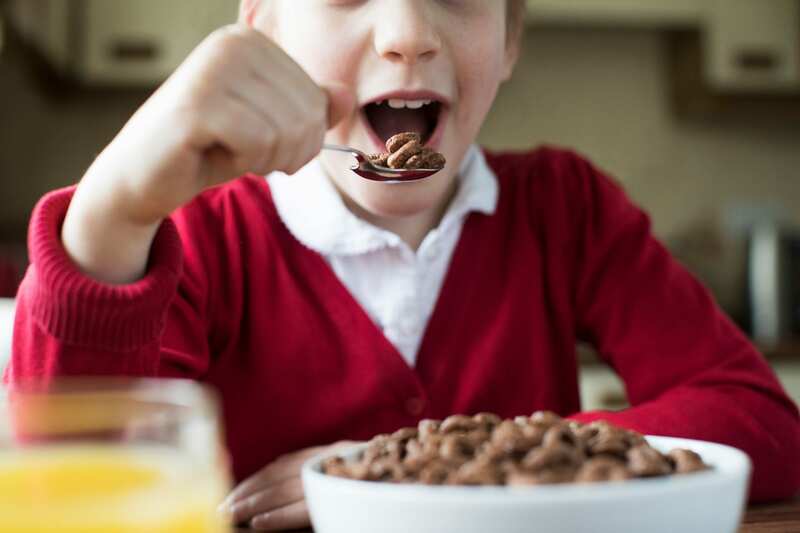 The rest sneaks into our kid’s diets in the form of ketchup, teriyaki sauce, chocolate milk and the obvious sweets like cookies, cakes, ice cream and even breakfast cereal. Surprisingly, some “healthy foods” such as yogurt and instant flavored oatmeal can pack in 20-30 grams (5-7 teaspoons) of unnecessary added sugar! Why Should You Reduce Children’s Sugar Intake? 1. Sugar decreases the immune system. Obesity and type 2 diabetes are very obvious results of eating too much sugar but the effects of sugar can be a lot more insidious. Eating sugar will depress your child’s immune system for several hours after consumption and make them much more likely to get sick. Finally, this is not what you want in cold and flu season! 2. Sugar increases dental cavities. Bacteria in your mouth feeds off sugar and transforms the sugar into acids that cause dental decay. The more sugar, the more likely your kids are to develop dental cavities. Who wants to spend their money on preventable dental work! It is becoming evident that inflammation is the root of many problems in the body. On a more serious note, sugar consumption and the resultant brain inflammation has been scientifically linked to worsening the symptoms of depression and anxiety. 4. Sugar makes learning more difficult. Sugar consumption has been linked to a reduction in cognitive function, memory and learning capacity. Brain fog is a common result of inflammation from sugar. 5. Sugar increases childhood obesity. The combination of empty calories, the switching off of the fullness sensation, and the addictive nature of sugar make the perfect storm for unhealthy weight gain and is the leading cause of childhood obesity. Weight issues have other tough consequences such as lowered self esteem and decreased athletic performance. Not sure where to start when it comes to reducing your child’s sugar intake? Eliminate or drastically reduce sugary drinks. This includes sport/energy drinks, sodas, lemonade, fruit punch and even 100% fruit juice. Manufacturers of 100% fruit juice often add sugar to it. And even if there’s no sugar added to it, the process of juicing fruit typically eliminates the fiber once contained in the fruit. Thus, kids don’t feel full after drinking it and often overindulge. On average, a no-sugar-added 12-oz glass of orange or apple juice contains 40 grams of sugar. Focus on helping your kids (and yourself!) learn to drink more water and milk and eat whole fruit instead (see #2). Serve more vegetables and fruits. Children (and even adults!) should eat 5-9 servings of produce per day such as apples, carrots, broccoli, bananas, and peppers. Whole fruit and vegetables contain water and fiber, which will help kids to feel full. Cook more at home. I realize this is a tough one, but the more you can cook for your family at home, and pack healthy lunches for kids, the more control you have over the foods that you eat. Restaurants often add sugar (and lots of salt and fat) to enhance the taste of the foods on their menu. But these additives aren’t necessary for making foods taste good. Pack snacks ahead of time. If you’re out and about with your kids, it’s tempting to give in and grab a snack from the candy aisle, snack counter, or vending machine. But if you plan ahead of time and bring healthy, kid friendly snacks with you, it’s possible to avoid this scenario. Fruits, veggies and dips (hummus, nut butters), trail mix, and nuts all travel well.